Once you’ve decided it’s time to replace your windows, you’ll need to choose which window style is best for your home. That’s why understanding the custom options of each type of window is an essential part of the purchasing process. Casement windows are hinged at the side and open outward to the left or right. Casement windows are commonly called crank windows due to the cranking mechanism that is used to open and close the windows. Stanek® casement windows have a fold-down handle that makes operating them simple. Our casement windows also open to a 90-degree angle, making cleaning the interior and exterior of the window easy from the inside of your home. They also have screens inside the window, while other replacement window styles have screens on the outside. Stanek® vinyl casement window screens are matched to the interior color of the window, making the screen look like it’s a part of the window. Are Awning Windows the Same as Casement Windows? While casement and awning windows are very similar in style, the difference between the two is that casement windows are hinged on the side of the window, while awning windows hinge at the top. Casement windows are ideal for openings where the height is greater than the width while awning windows are ideal for openings where the width is greater than the height. What Are the Benefits of a Casement Window? If you’re looking to add a design element to your home, a casement windows are a perfect way to do so. Stanek brand casement windows provide clean, simple lines to complement the design of modern homes or update the look of more traditional homes. Stanek casement windows also provide you with an unobstructed view of the outdoors due to their sleek design and maximum visibility of glass. Stanek casement windows have fold-down handles that are easy to open and close for the life of the window. If natural light is important to you, casement windows will be perfect for your space. Since casement windows open outward 90 degrees, they provide maximum natural light and ventilation for your home. They work well in rooms where maximum ventilation is needed, such as the kitchen and bathroom, or where an unimpeded view is desired, such as a sitting room or traditional sunroom. 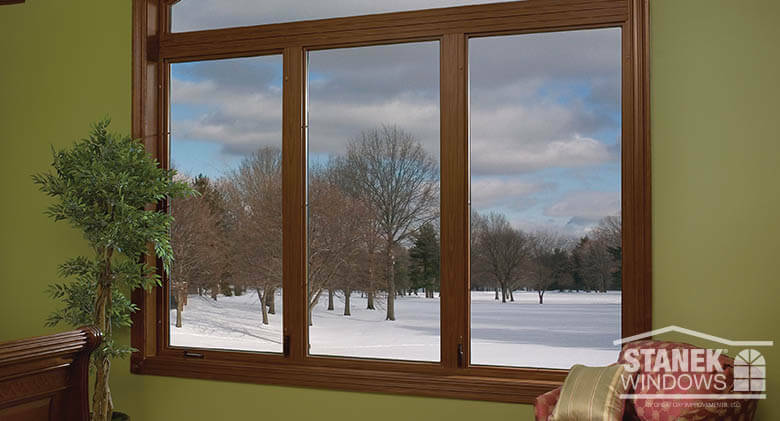 Stanek® Windows also offers multiple configuration options to maximize your view. 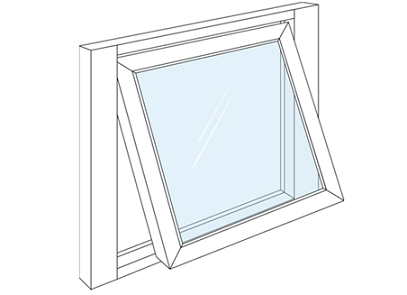 Our casement window arrangement choices include one-lite fixed, one-lite vented, two-lite horizontal, two-lite with stacked transom, and three, four and five lite configurations. Regardless of the configuration you choose, your windows will still operate the same. Check out our video below to see Stanek casement windows working in action. Why Choose Stanek Casement Windows? With so many replacement window companies available, it’s difficult to know which brand to choose. Replacement windows are an investment and should last a lifetime. Unlike other vinyl windows, Stanek utilizes FIBERMAX® reinforcement, which increases the overall strength of your windows. Our fully-reinforced sash and frame ensure the longevity of your window, with additional stainless-steel operating components that provide maximum durability. Our multi-point cam locking system locks your window at several points with one easy-to-operate handle, providing you and your family with extra security for your home. Stanek also offers endless custom options, which allow you to create a personalized window that is perfect for your space. 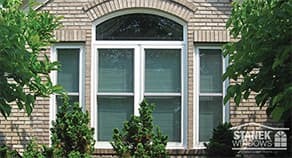 Stanek vinyl replacement windows are also maintenance-free and never have to be sanded, painted, stained or refinished. 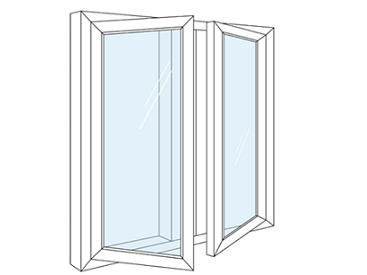 We also offer a variety of energy-efficient glass options to meet your energy performance needs. For more information about Stanek window types and options, contact our experts today to schedule your free, in-home estimate, or call us at 1-800-230-8301.